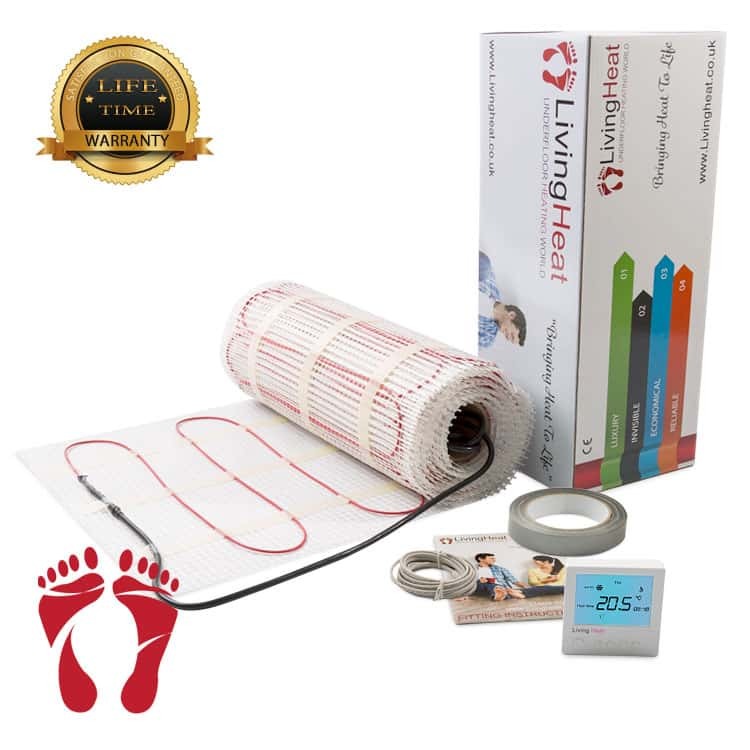 At 150 watts per square meter, the 150w electric underfloor heating mat is designed to be a primary heat source, In most common areas of your home. The mats are simply rolled out on the floor and the mesh backing can be cut leaving the cable intact. This allows you to manipulate the mats where necessary. At 200 watts per square meter, the 200w electric underfloor heating mats are designed to be used as a primary heat source in all area’s including high heat loss areas such as conservatories or out buildings. Like the 150w mats, the 200w mats can also be rolled out and the mesh backing can be cut leaving the cable intact.